Android and iOS powered devices are certainly not the only mobile products that need protection from the current two bad boys of the security flaw world. We are referring, of course, to Spectre and Meltdown. These bugs, with the help of a malicious app, can steal the secrets that you hide in your phone, including the passwords that are used to get into your banking and brokerage apps. 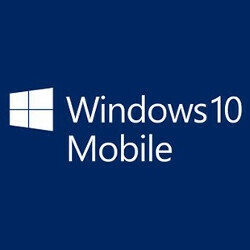 Microsoft has pushed out a cumulative update for all Windows 10 Mobile handsets regardless of whether they are registered with the Insider program or not. On the company's support page, it says that the update (KB4073117) includes all of the improvements to the OS found in the KB4056891. That means it contains security updates to Internet Explorer, Microsoft Scripting Engine, Microsoft Edge, Windows Graphics, Windows Kernel, Windows Subsystem for Linux, and the Windows SMB Server. While this update is being sent OTA to Windows 10 Mobile devices, you can see if it has hit your phone by going to Settings > Update and Security > Windows Update. Before installing the update, make sure that you are connected to a Wi-Fi signal, and that the battery on your phone is fully charged. The 11 people that still use it will be chuffed to bits. Now what about the hundreds of millions that use windows 10? They've already issued emergency updates for Windows 10. If you're going to be a troll, at least be a well informed one. I really hate how MS let Windows 10 dies, but I have to respect them for the security upgrades that will continue over couple of years. Does it slow down performance? It’s a security update & not any firmware or so.